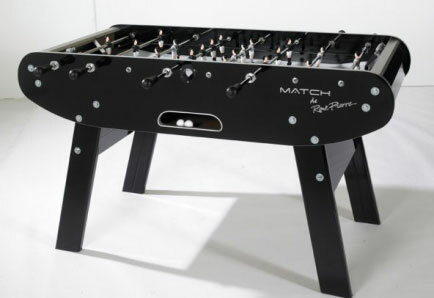 The Black Match gets its name from its all black exterior cabinet color and has a sister model in the White Match model. 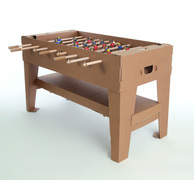 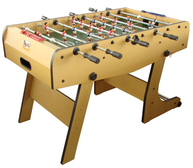 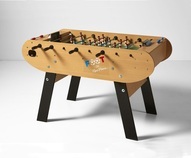 Foosball Table combines the style of the Zinc table for around the price of a Champion table. 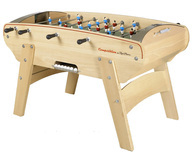 If you prefer control and comfort, this table is for you. 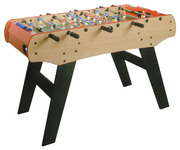 This European-style table offers a sleek, modern look in its deep black finish. 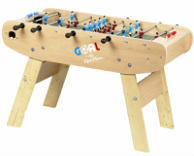 An MDF constructed cabinet with aluminum die cast men on telescopic rods and linoleum playfield gives this model the play you've come to expect from a Rene Pierre. 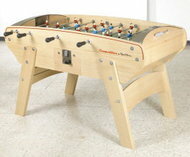 Central ball return and manual scoreboards located at each end offer fast, fun play.